We all love this winter season, even the weather gets colder, our hearts get warmer with gatherings, cooking and much more. In a like manner, we like to light up our homes to make them cozy. Save energy this Christmas, Christmas Lights Cost. How much this will affect your energy bill? Save Electricity at Home. Santa needs help. Regarding your energy consumption, heaters are used, we demand warmer water, colder water comes from outside. In addition to this, our Christmas lights cost. 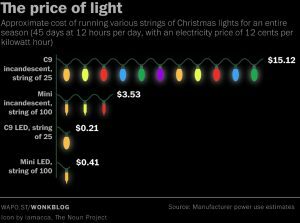 The math; Save energy this Christmas, Christmas Lights Cost. Studies say that we increase our energy consumption for about 30 to 50 percent in the holiday season. Yes, we love those little, tiny lights. However, let’s help ourselves and try to keep the energy bill as low as possible. $35 with C9 incandescent string of 25. $0.21 with C9 LEDs string of 25. Yes, 21 cents. $3.53 with C9 incandescent string of 100. $0.41 with C9 LEDs string of 100. Yes, 41 cents. Wireless light switch. One of my simplest and favorite gadgets. 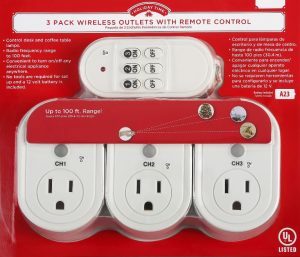 Do not use the dusk to dawn activated timer, if you really want to Save energy this Christmas, Christmas Lights Cost lower, get the wireless outlets with remote control. Super easy to use and control your light from inside the house. 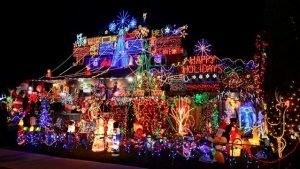 Either way, you don’t want your Christmas lights at 4:35 AM, do you? LED for the whole house. If you have not done this one, I think it’s time to invest. Yes, it is an investment, a few months back we blogged about this. LED lights cost a lot more than incandescent lights, however, the degradation and durability are way higher. Home electricity made easy with Electricity Express. One more tip. Regarding your furnace, a clean air filter will make your unit run with less stress. The fact that will run fewer times will save you more than you think on your electricity bill. Much more than the cost of the filter. Let’s be safe this holiday season and keep the lights off as much as possible. In contrast to incandescent lights, LEDs are cold, less chance for fire accident. For more electricity saving ideas, follow my Power Blog. Save energy this Christmas, Christmas Lights Cost.